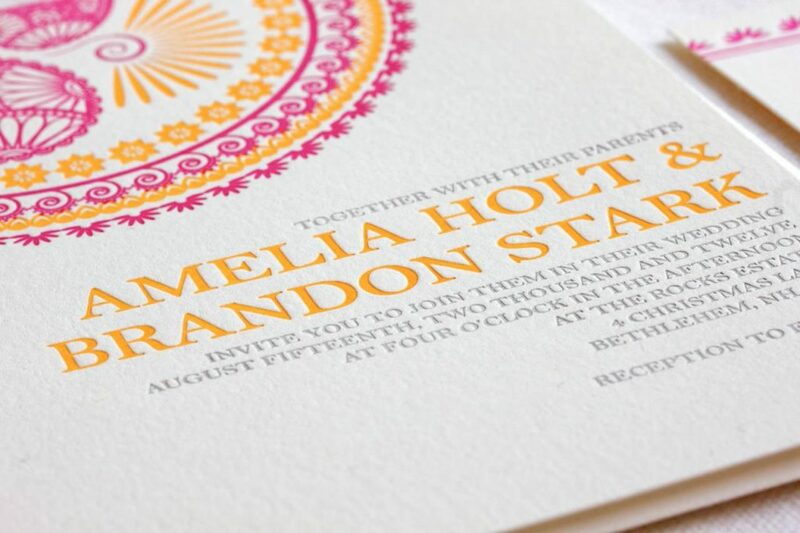 If you come from a divorced family, wedding invitation wording can become a pretty tedious process. 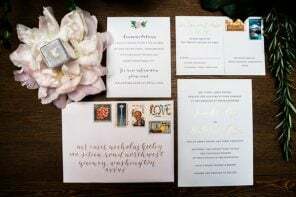 Even if you’re not in a blended family, it can be nerve-racking trying to make sure you get your wedding invitation wording “just right” without managing to piss off a family member. 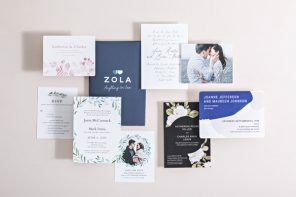 Between knowing what to capitalize, who’s paying for what and when they should be included, or whether or not you want more traditional or casual wording, wedding invitations require more than a few minutes of your time. 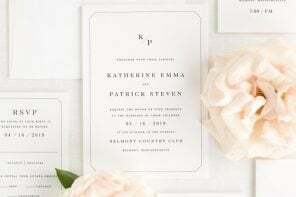 Use this handy list to help you figure out the wedding invitation wording you’ll need on yours. Looking for more examples? 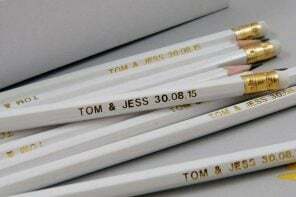 We have wedding invitation wording for even trickier situations. PLUS: Try our new wedding invitation wording generator to help you find your PERFECT wording. *NOTE: Even though the bride’s parents are hosting, I think it’s nice to add in the groom’s parents names as well. No abbreviations should be used. (The only exceptions are Mrs., Mr., and Ms.) Spell out formal titles such as Doctor, Reverend, Captain. Formal tradition says the word honor has a “u” in it, as is the traditional British spelling. However, if you want to make it more casual, nobody will care if you omit it. Only use bride’s first and middle name. 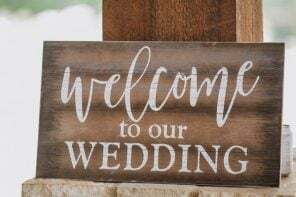 The only exception is when brides’ last name is different than parents, or when it is unclear which name she uses, in the case of divorced parents. Jewish faith calls for an “and” instead of “to” between the bride and groom’s names. “Mr.” is formally used for the groom, but it is not necessary and can be omitted if you’re going more casual. Same is true for using your parents’ middle names. Technically if you are using your own middles names, you are supposed to use your parents’ as well. But in the effort of saving space you do not have to. Either use the full middle name or none at all (no initials). Spell out numbers, except in the address. You do not need to clarify “afternoon” or “evening” unless the wedding is at 8, 9, or 10 o’clock. Do not use “a.m. or p.m.” as they are abbreviations. Use “half after” not “past” for the time. Only capitalize proper nouns, a new thought (such as Dinner and dancing), or words that are normally capitalized (such as a State). Zip codes are not included. Help! We have biological mom and stepfather who are not contributing ( the stepmom and dad) have raised the daughter. 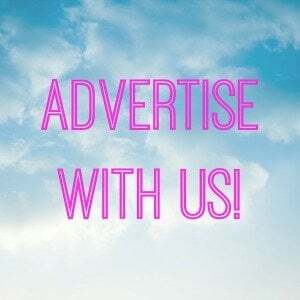 Grooms parents are contributing and the biological mom has resurfaced and wants to be acknowledged. How do we address this situation???? I have a difficult situation, My (bride) parents are divorced and my father is remarried. My fiance parents are both deceased. How do I word that? Hi, very helpful article! How would you word the invitation if the bride’s parents and couple are paying, not the groom’s parents? 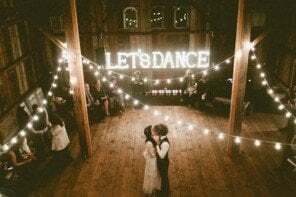 Tradition calls for invitations to say marriage instead of wedding, so marriage is in fact correct. 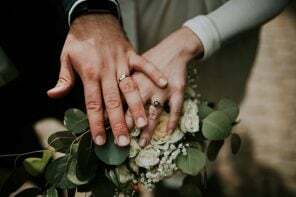 Here’s another sticky situation – my daughter is getting married later this year, I am remarried, she is close to her stepfather, and we are hosting the entire shower/wedding/other festivities. She recently started having a relationship with her biological father (he’s been in/out, mostly out of her life for the last 23 years). However he isn’t contributing to the wedding, quite frankly I’m not even sure if he will show up at the wedding…. how does that wording look?? On the grooms side, his dad is remarried only a short time and his mother is deceased. Do we list them as Mr. & Mrs. Jack Black and son of the late Mrs. Jack Black? I’m so confused. Maybe “Together with their families…” is a lot less complicated. There’s a situation that never seems to be addressed on ANY site or book: The parents of the bride are married, hosting the wedding, BUT the mother of the bride has always used her own name, never using her husband’s name for anything, ever. How would a non-religious wedding invitation be worded in this case? I am getting married and wondering how to word my invites. Both of my parents have passed and my aunt and uncle are helming with the financial aspect but I don’t really want their names on the invites, we have had a complicated relationship. My fiancés parents are alive and also helping. How should I go about wording this? Hi! If the groom is a II or III, you would say John Doe II on one line. I hope that helps! How do we word the groom’s name if he is for example John Doe the second? My parents are contributing to the wedding but my fiance and I are paying for the majority of the wedding ourselves. My fiances parents are not contributing at all. How would I word the invitation? Howdy! My Fiance and I have a 2yr old daughter together, by the time we get married she will be 3. I would like to know how to word an invitation (we are hosting and it is a religious venue) we would like to include her in our invite and everything I found for including children is for blended families or 2nd marriages. I am LDS and the marriage ceremony is not something that many people are typically invited to. How would you word the “pleasure of your company” line in that situation, because it IS in a religious setting, but the “invitation” functions more as an announcement that invites you to the reception in our culture. If you are being invited to the ceremony, that’s generally included on a separate insert. I’m a stickler for etiquette, so I’d love to know what to do in this case! 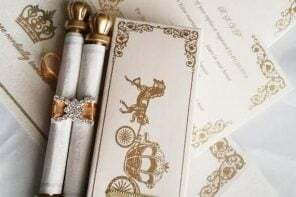 If the mother of the bride is remarried but the bride does not want the step father on the invitation how do I get around that problem. How would it be worded if the only the bride’s parents and couple are paying? I don’t understand the bride using just her first and middle name. The invitation reads Together with their parents, Jane Marie and Michael John Smith request the pleasure of you presence, blah, blah, blah. No where is her parent’s surname mentioned and I feel she should use it in her name. When did this all change? Thanks for writing in! The invitation wording would be the same regardless of the same name. I hope that helps! 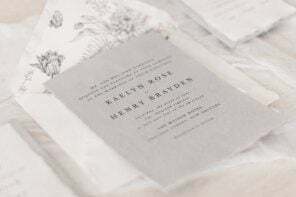 Any advice on wedding invitation wording when both the bride and the groom share the same last name? 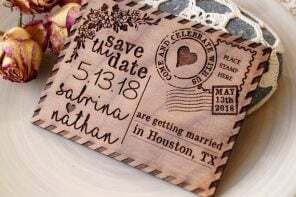 The parent of the bride have the same last name as well and will be the hosts of the wedding …… We haven’t had the invites printed yet, so any advice would be grately appreciated! Yup! Unfortunately some do not do their research! Just got blindsided today with sons invitation. NOT COOL! Especially when the step monster is not well liked by either of my sons! Jaclyn—I made a new post discussing a few more options if this helps as well! There are a couple of options you could go with, depending on which route you feel the most comfortable. 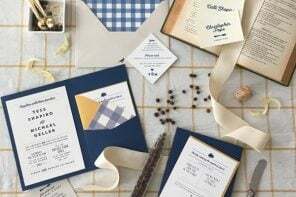 Keep in mind that deceased parents are not traditionally included on a wedding invitation, but rather in your wedding announcement as well as your wedding program, where you could opt to include a tribute note. However, I say forget tradition and do what you want to do! I can completely understand wanting to include all names in some shape or form. Option 1: So this is the easiest, and would allow you to include your family (which includes your step-mom) on the invitation without getting specific. Option 4: If all parents are contributing, I haven’t seen this done before but I feel like it properly works everybody in there! 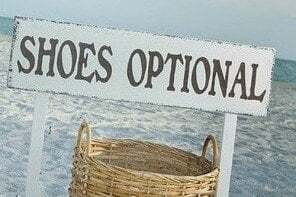 Do you feel comfortable with any of those options? My father remarried and my stepmother and I are close. My father is now deceased. My mother will be attending the wedding but has never remarried. How do we include all of our parents on the invitation? This is an excellent summary. I’ve many similar reviews and have found it interesting that not a single one of them ever addressed the situation of: groom’ mom never married, groom does not know his father. Maybe grooms like that are never expected to grow up and have fancy weddings? 🙂 Just a funny thing. We are hosting the wedding so kept it to our names only, but I’m sure there’s a lot of single-parent brides & grooms in similar situations. Haha thanks! I was like, “I’m going to make a short post today, I’m tired.” Then it turned into a 5-hour long research quest. The whole invitation wording thing is way overly complicated. Jesus Christ, this is complicated. Kudos to you for researching all of this! 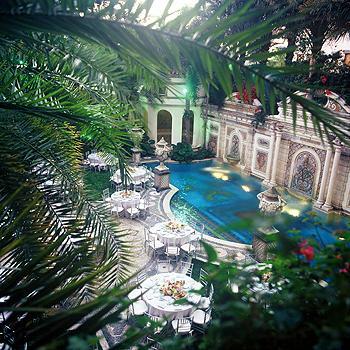 Destination wedding packages for New York, Vail, and Miami. Find out how much they cost.